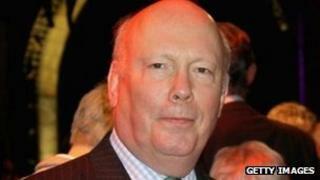 Oscar-winning writer and Downton Abbey creator Julian Fellowes has been lined up to adapt the memoir, Gypsy, for the big screen. The Hollywood Reportersaid Barbra Streisand and Joel Silver will produce the project. The memoir, written by burlesque dancer Gypsy Rose Lee in 1957, documented the relationship she had with her pushy mother Momma Rose. It was adapted into a Broadway musical in 1959, followed by a film in 1962. The movie starred Rosalind Russell and Natalie Wood and was nominated for three Oscars. Since then, there have been several Broadway revivals and in 1993, Bette Midler played the role of Momma Rose in a TV version of the book. Born Ellen June Hovick in Seattle in 1911, Gypsy Rose Lee started out in burlesque and went on to act in several films - she had a cameo in an episode of the 60s TV show Batman. She was involved in a relationship with Oscar-nominated director Otto Preminger and, after retiring from stripping in 1956, wrote her memoirs a year later. An avid art collector, her Los Angeles home was adorned with works by Joan Miro, Pablo Picasso, Marc Chagall and Max Ernst, apparently gifts from the artists themselves. Gypsy Rose Lee died of lung cancer in 1970. Fellowes won an Academy Award for the 2001 film, Gosford Park, which starred Dame Maggie Smith and Ryan Phillippe. He also wrote The Tourist - starring Angelina Jolie and Johnny Depp and The Young Victoria. Downton Abbey won two Emmy awards in the US last year.